and installations are safe and suitable for use. Having worked as electricians in Grimsby for almost a decade now, we know exactly how important it is that your home or business is never without essential electrical services for longer than necessary. So, whether you suffer a fault or need to have a new appliance installed, we will always be quick to the scene and get the job done swiftly and to the highest possible quality. We pride ourselves on the superior quality of our work, with every electrician we employ fully qualified and able to carry out an extensive range of different domestic electrical services, including (but by no means limited to) rewiring, installing CCTV and security systems, working with electrical sockets and switches or working with essential domestic equipments such as electrical showers, lighting and heating. 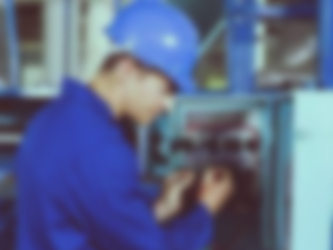 We also have a fantastic team of industrial and commercial electricians in Grimsby, all of whom are fully qualified and ready to perform any of the essential tasks which may emerge within these sectors. Alongside providing the repairs and upgrades which allow you to continue operating, we also aim to cause as little disruption as possible, getting the work done as quickly as we can to help reduce costs to your business. Of course, when you’re dealing with electricity safety is absolutely paramount; our approval from the NICEIC (National Inspection Council for Electrical Installation) means that this has been externally validated as we continuously meet and exceed the industry’s high technical and safety standards. As electricians in Grimsby, our task is to provide you with the best service, whether you are facing an electrical fault in your home, need a new system installed at your business or have any other electrical needs. If you’d like to speak with our team about the full range of services available then please don’t hesitate to get in touch online or at 01472 242781; we will always be available to discuss your needs and send out the right electrician for the job.